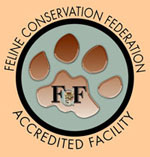 Persons interested in providing captive habitat for felines as large and strong as cougars must live in a suitable environment. 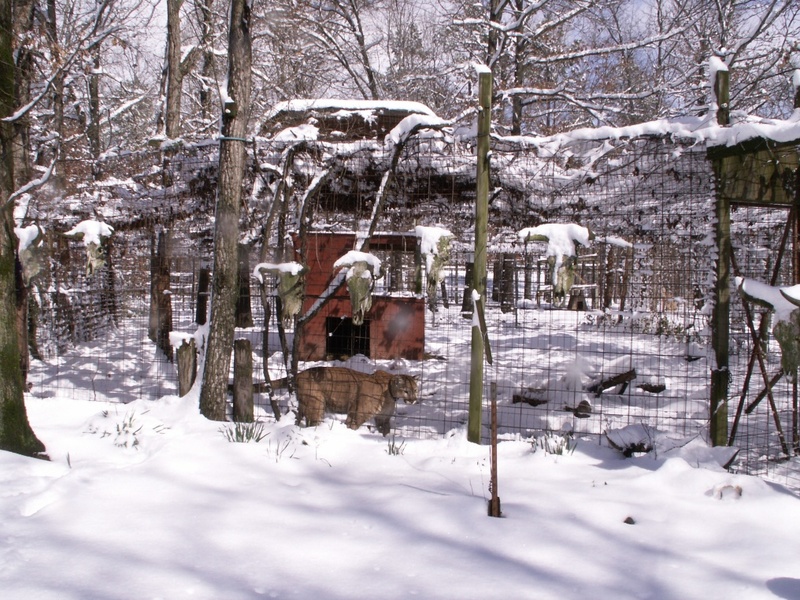 Close neighbors, small children, excessive employment obligations, limited income - each of these situations interfere with and prevent quality captive husbandry. 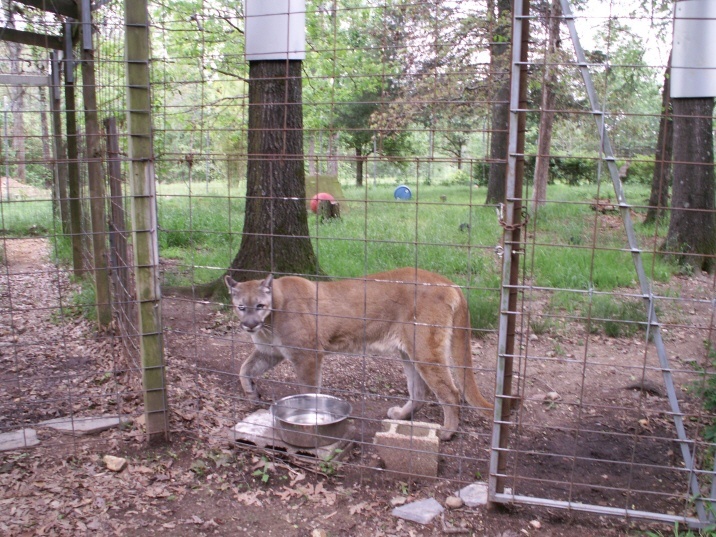 We recommend a minimum enclosure size of 1,000 square feet for each cougar. 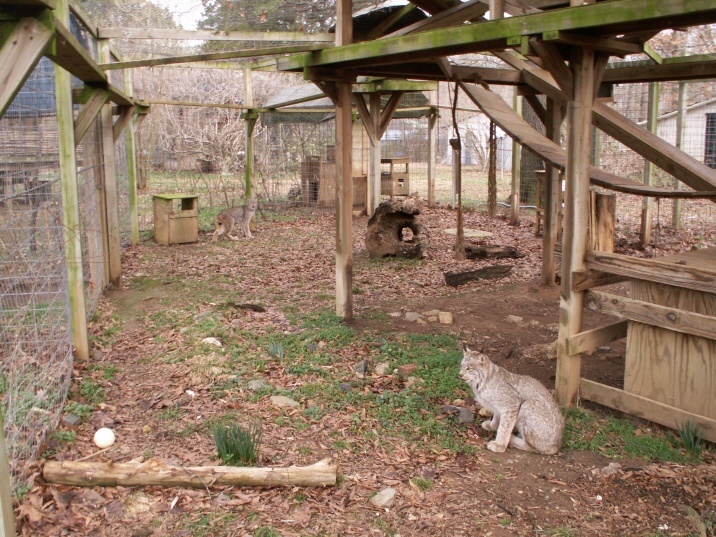 Bobcats enjoy playing in water so a pool stocked with small fish or toys will encourage this behavior. 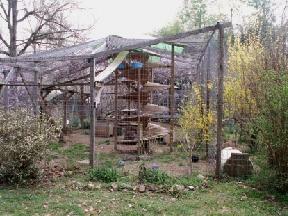 Protection from summer heat and sun is best provided by shade trees. 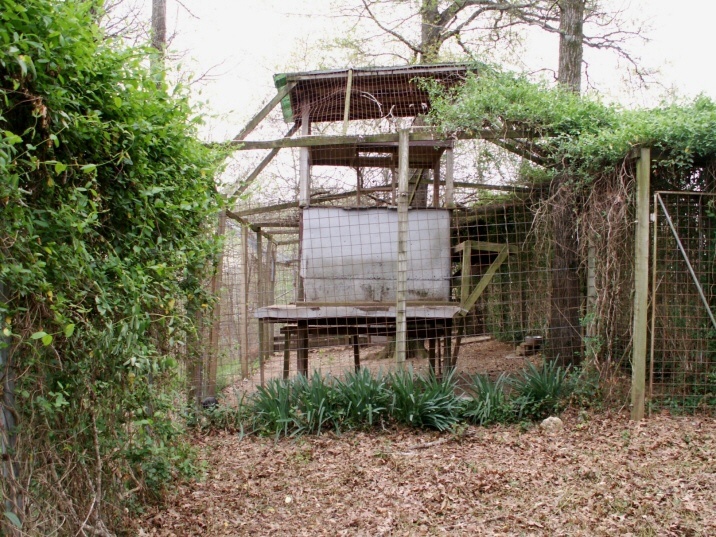 Design the cage with double door entryways to prevent escape. 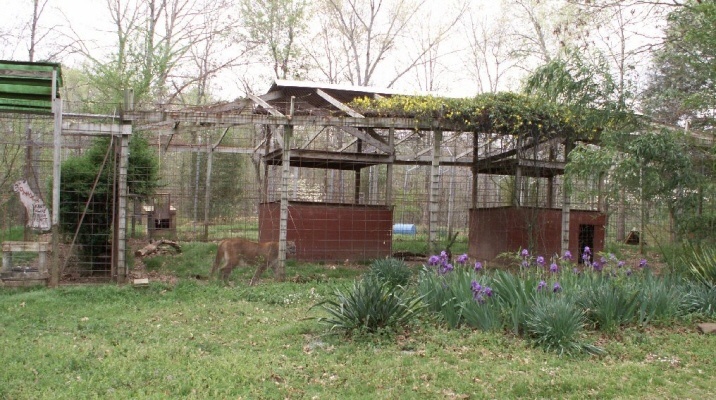 When contemplating providing exercise compounds that are open topped, one must take extra precautions to insure that the felines cannot climb or jump out. 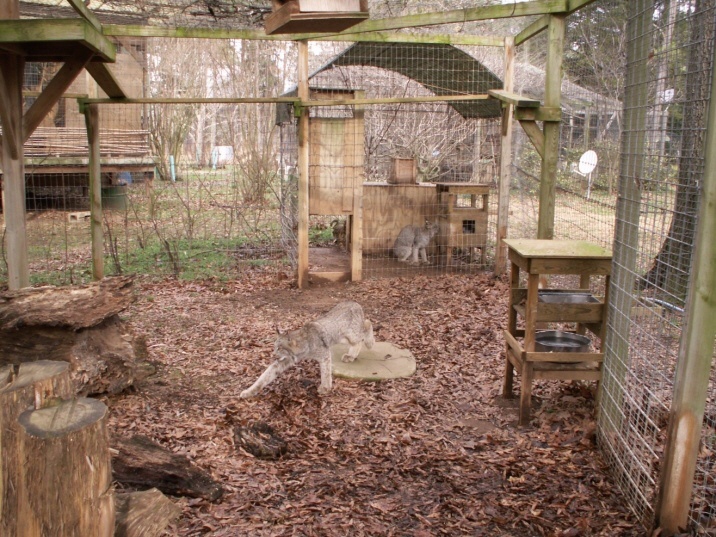 We have successfully provided large play grounds for our small cat species by using fencing walls that are at least ten feet all and have a 30 inch re-curve structure on top. 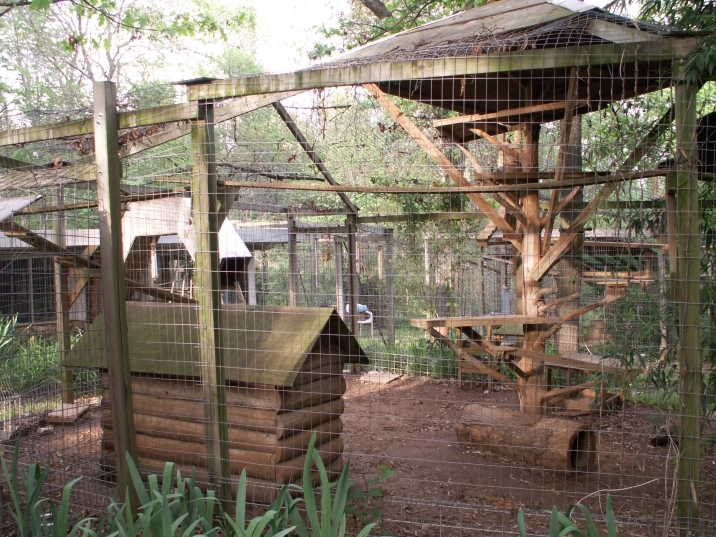 For extra security, we have installed two electrical wires, one at the eight foot level and another at the end of the overhang structure. 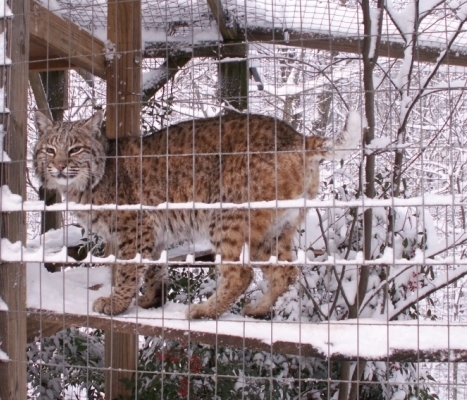 To increase the quality of life for wild felines, caging should be as large as possible. 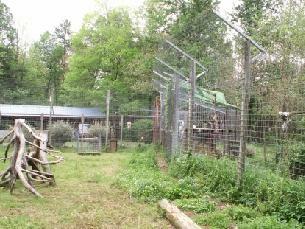 Confinement should be habitat, not imprisonment. 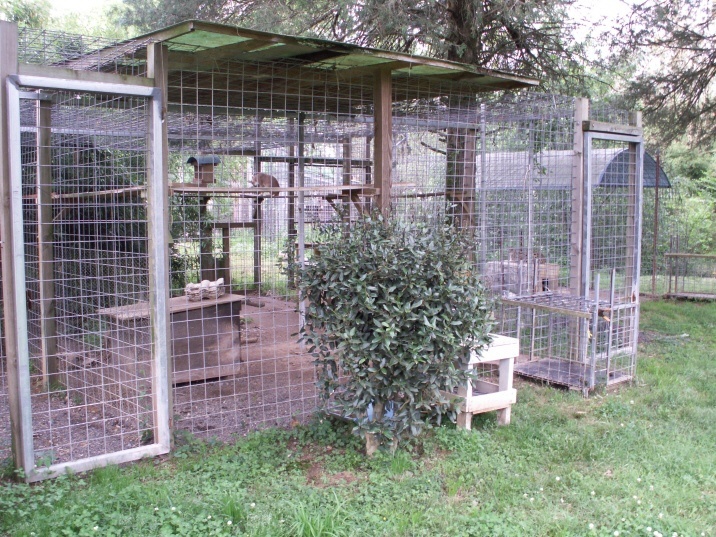 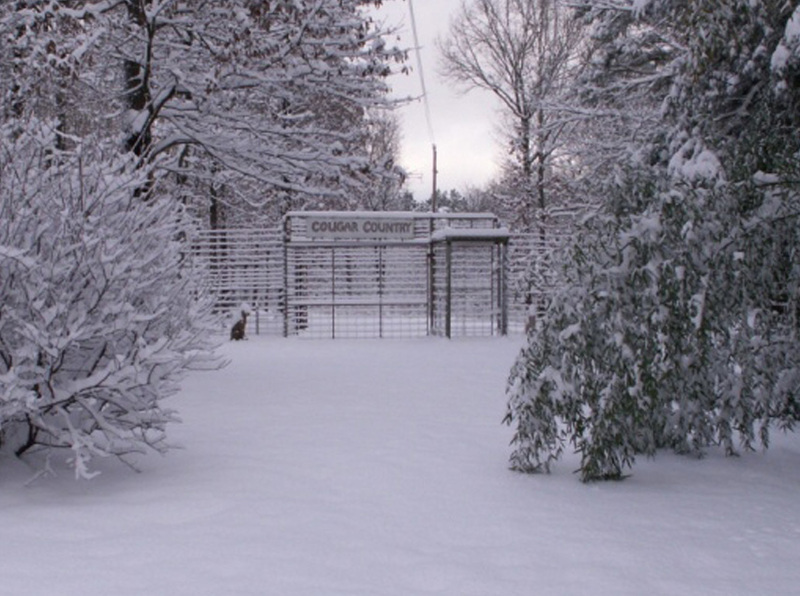 Careful planning and design of enclosures will enable you to provide enrichments, such as bushes, trees, pools, rocks and catwalks.